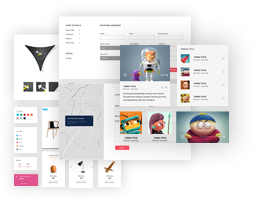 Stark UI Kit can be customized and used as appropriate for many fields including business, advertising, e-commerce, news agencies, etc. Stark UI Kit is developed with features to fit all Latin languages as well as Right-to-Left languages including Arabic. That is how it is really universal. 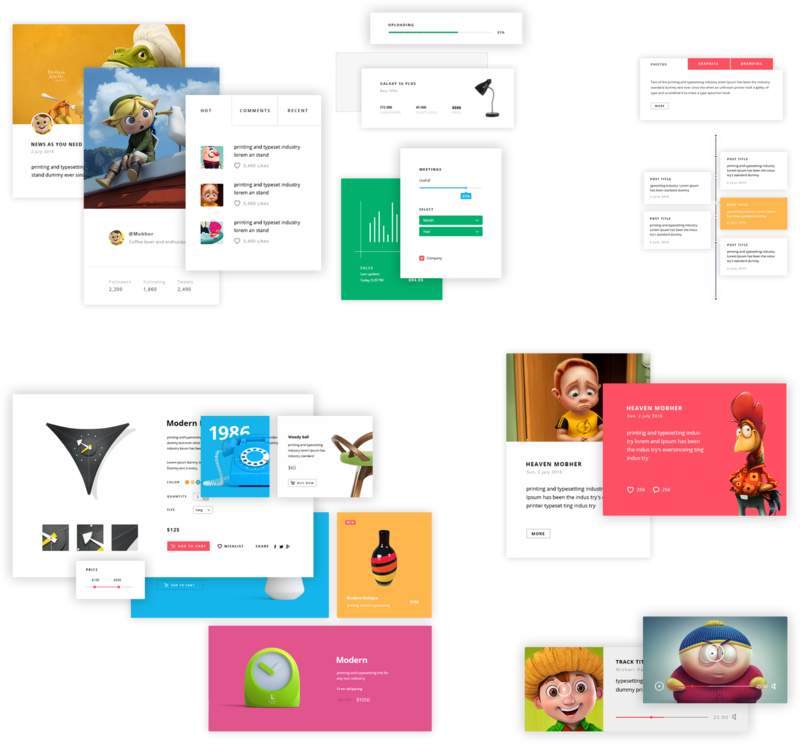 There is a variety of colors used in Stark UI Kit for a vivid UI look suitable for different tastes. 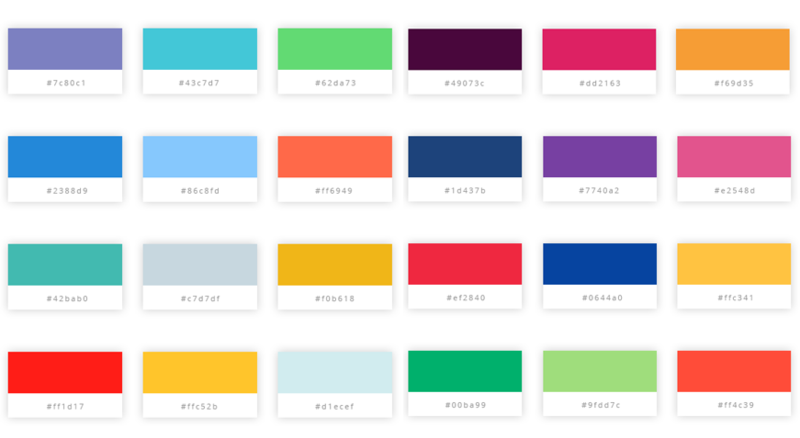 Stark UI Kit consists of 128 flat colored icons #[br] suitable for many different uses. 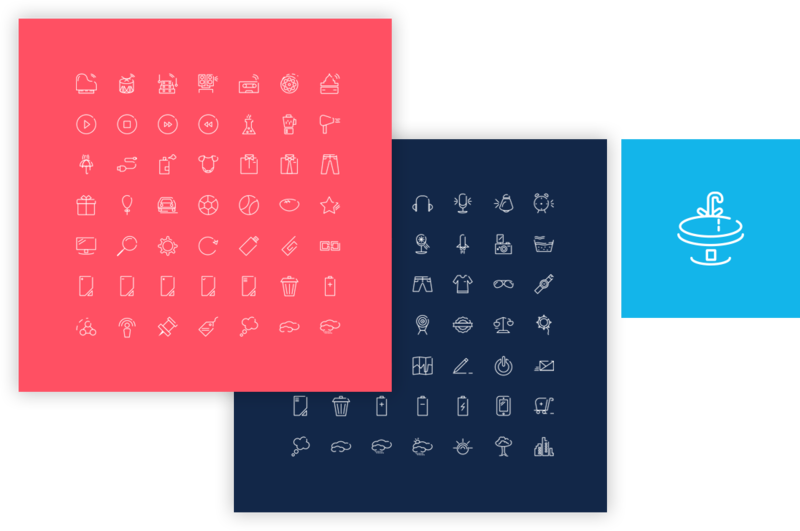 Stark UI Kit consists of 128 wired/lined icons #[br] suitable for many different uses. 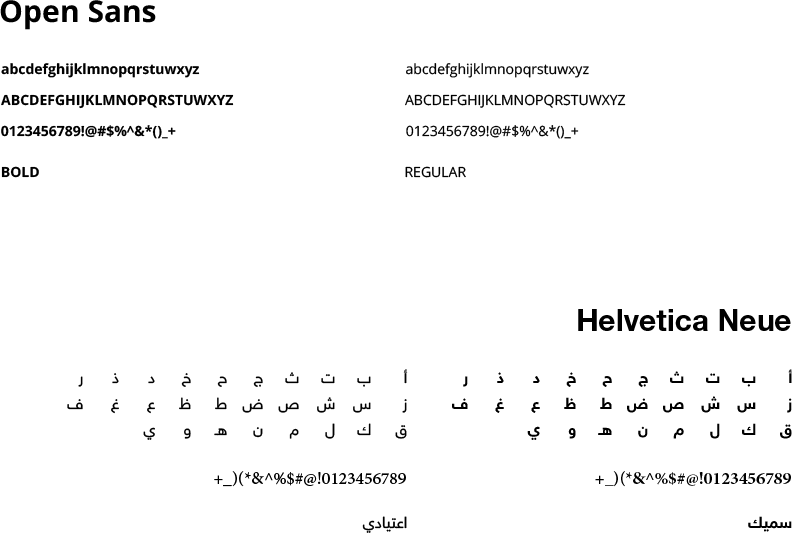 The main font used for Stark UI Kit is Google Font. This font has delicate shape of letters and numbers and it is appropriate for business format. 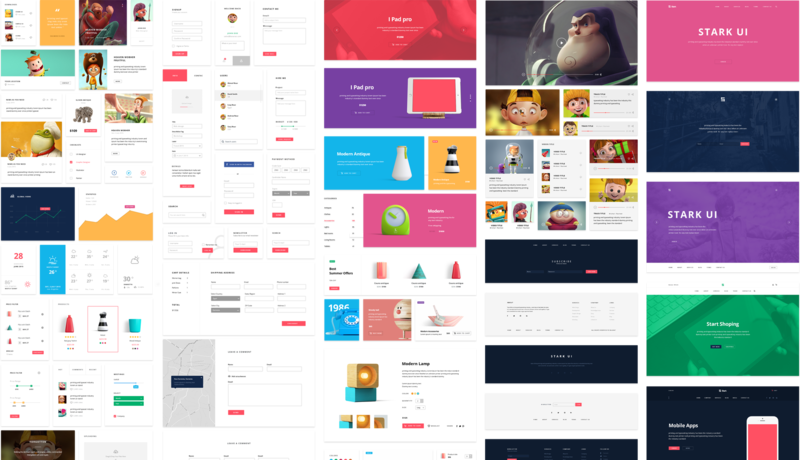 All components in Stark UI Kit are in perfect pixels to ensure very high quality. 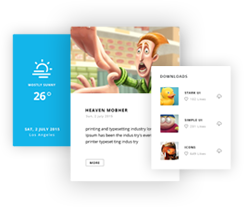 Enjoy the multiple-language support by Stark UI Kit and release your limitless creativity. 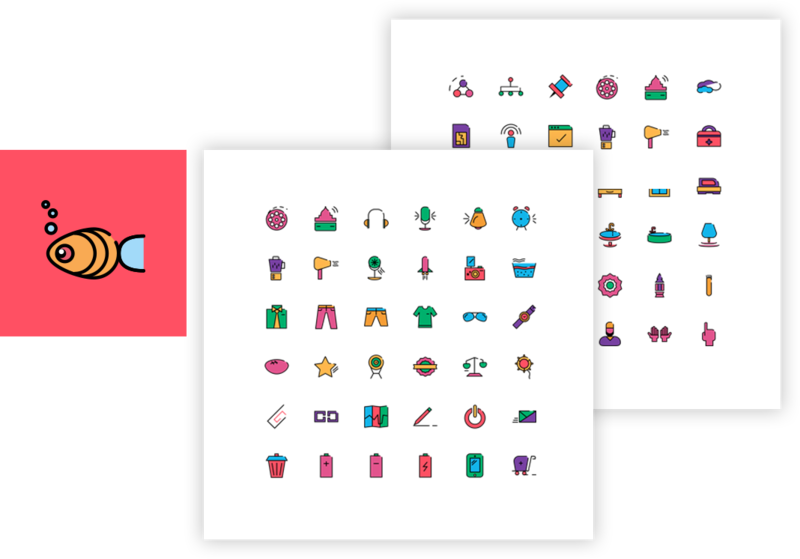 With Stark UI Kit you will enjoy not only UI components, but also multi-use bundle of icons. UI in small pixels confusing ? 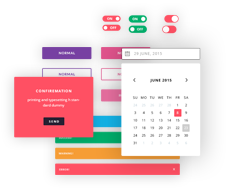 Stark UI components are in vector shape to ensure perfect look. 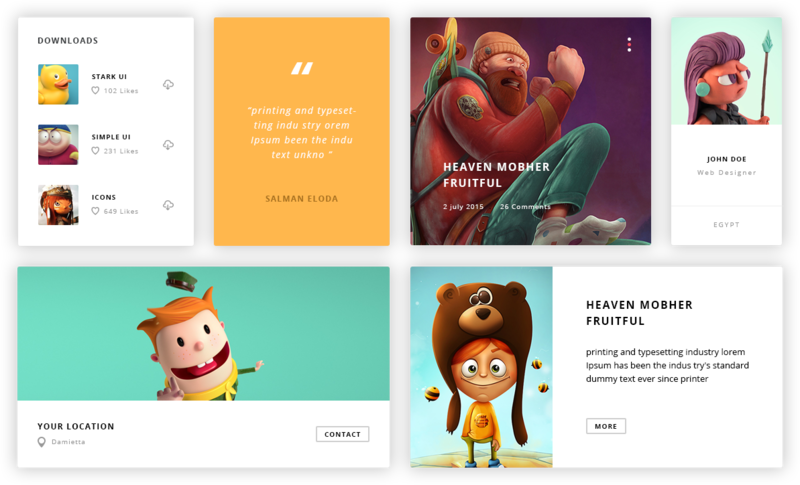 A variety of vivid and bright colors bringing life and beauty to the interface to engage users’ minds and hearts. Stark UI Kit can be used in two UI versions; dark and bright. Select the version appropriate for your business, service, etc.